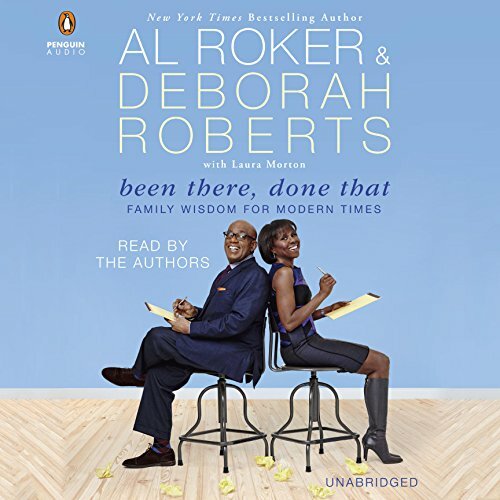 Life lessons from New York Times best-selling author and Today show personality Al Roker and his wife, globetrotting ABC news journalist Deborah Roberts. Al Roker and Deborah Roberts have 16 Emmy Awards between them. They have covered everything from the Olympics and the Gulf War to natural disasters and the AIDS crisis in Africa. Now these two married journalists and parents have collaborated on the most personal and important "story" of their lives. Been There, Done That is a funny, heartfelt, and empowering collection of life lessons, hard-won wisdom, and instructive family anecdotes from Al and Deborah's lives, from their parents and grandparents, and from dear friends, famous and not. Here, Al and Deborah candidly share childhood obstacles like obesity and growing up in the segregated South; the challenges and blessings that come from raising very different kids; hard-won truths about marriage and career; the illuminating "little things" that adults can learn from children; and the genuine wisdom that the elderly can share with a younger generation. These are real-life stories told from every perspective - from parent, spouse, daughter, son, and friend, stories that every listener can relate to, appreciate, and share.